Nanocrystals sometimes adopt unusual crystal structure configurations in order to maintain structural stability with increasingly large surface-to-volume ratios. The understanding of these transformations is of great scientific interest and represents an opportunity to achieve beneficial materials properties resulting from different crystal arrangements. 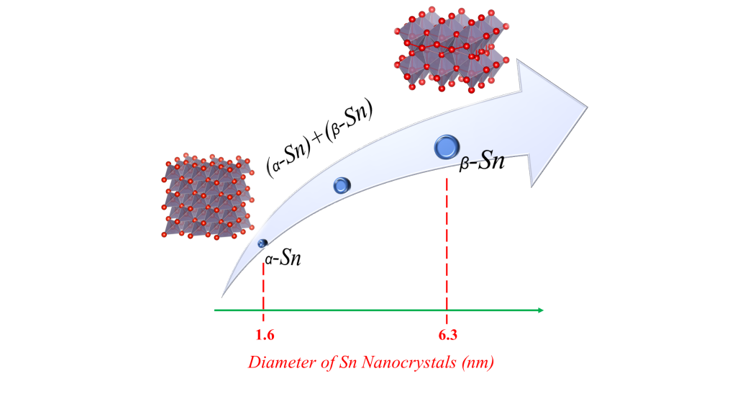 Here, the phase transformation from α to β phases of tin (Sn) nanocrystals is investigated in nanocrystals (Nature Communications 10, 2019, 817). Supported MnO2-based nanomaterials were fabricated on fluorine-doped tin oxide substrates using plasma enhanced-chemical vapor deposition. A detailed and in-depth analysis was carried out to understand the intriguing band energy structure of this interesting material. (Nanoscale 11, 2019, 98). Plasma at the gas/liquid interface can promote a complex mixture of reactions in solution and microplasma-assisted direct-current anodic oxidation is an efficient and green process in synthesising nanoscale materials for various applications. In this study, we demonstrated the direct synthesis of crystalline Co3O4 quantum dots, ca. 2–5 nm in diameter, by the direct anodization of Co foil with charge balanced by the microplasma at the flowing-helium/pure-ethanol interface under ambient conditions. (Green Chemistry 20, 2018, 2101). Devices with Type-I alignment represent a novel photovoltaic architecture. A type-I alignment leads to the possibility of enhanced carrier extraction and in general synergies between the respective materials qualities (e.g. 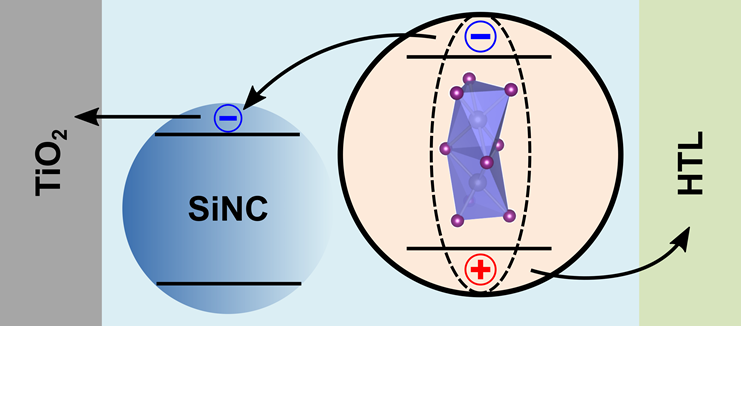 carrier multiplication for Si NCs and exceptional transport for perovskites). The atypical band alignment forming a type-I heterojunction has not been predominantly utilized and is believed to represent a novel approach to the wider family of QD solar cell device architectures. (Nano Energy 50, 2018, 245–255). 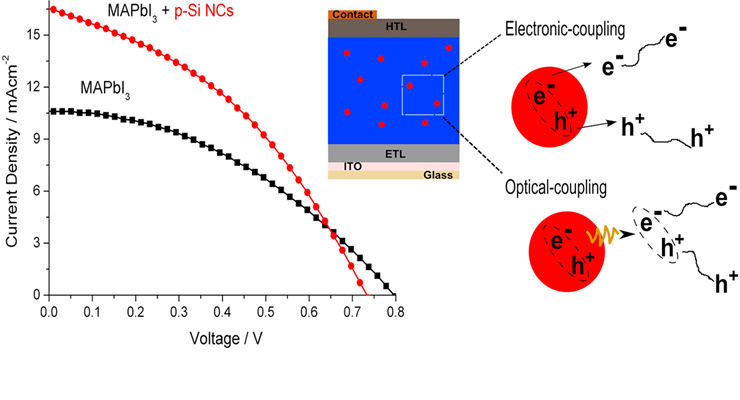 Silicon-tin alloy nanocrystals with quantum confinement effect for photovoltaics. 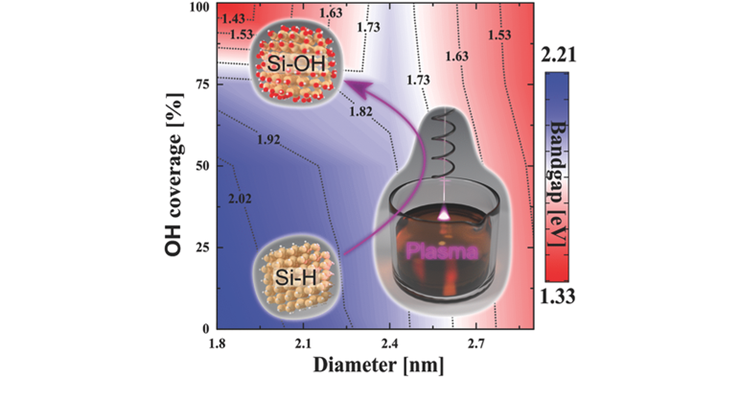 Synthetized nanoparticles with average of 3 nm in diameter and optical bandgap of 0.81 eV at room temperature were obtained with a Si (0.88)/Sn (0.12) alloyed composition that corresponds to a ratio of about eight Si atoms for every Sn atom. 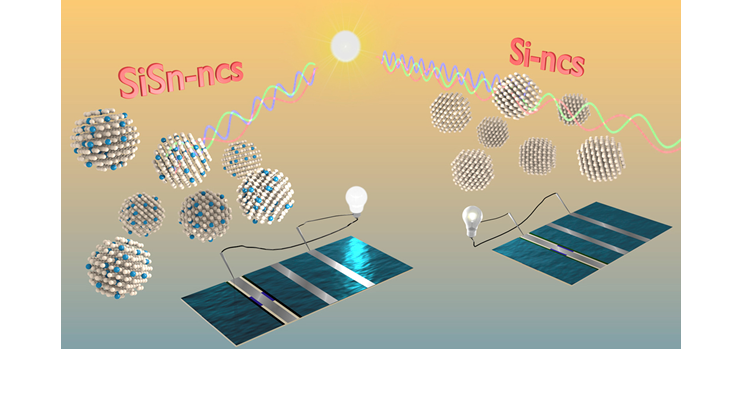 The potential of silicon-tin nanocrystals as a photovoltaic material is assessed and an enhancement of the solar cells performance is demonstrated due to the extended spectral range and increased absorption. (Materials Today Energy 7, 2018, 87). 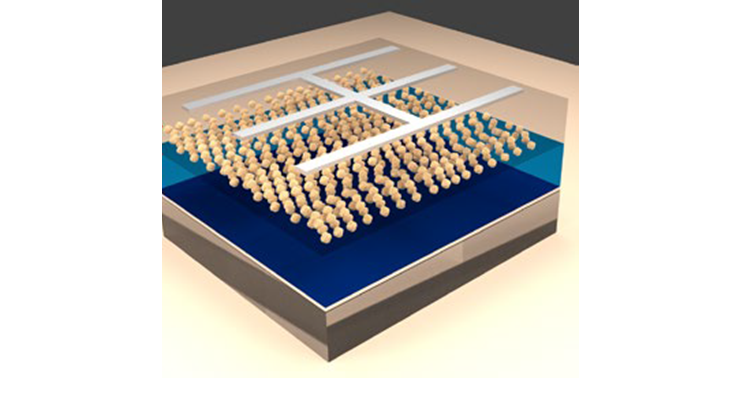 silicon nanocrystals , leading to solar cells with an enhancement in the short-circuit current. 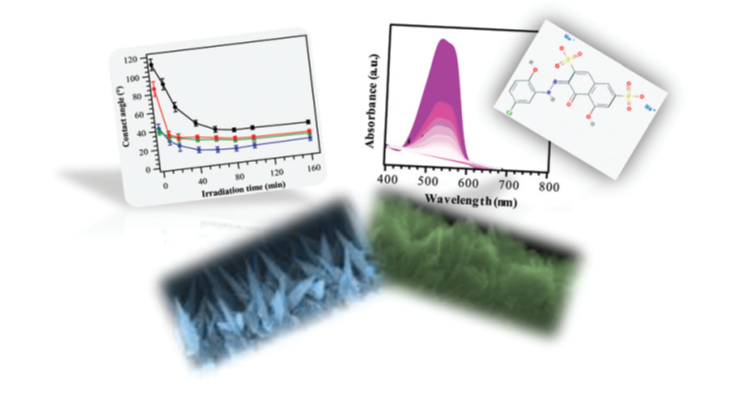 Through the material MABI, we demonstrate a promising alternative to the organometal trihalide perovskite class and present a model material for future composite third-generation photovoltaics. (Nanoscale, 2017, 9, 18759). 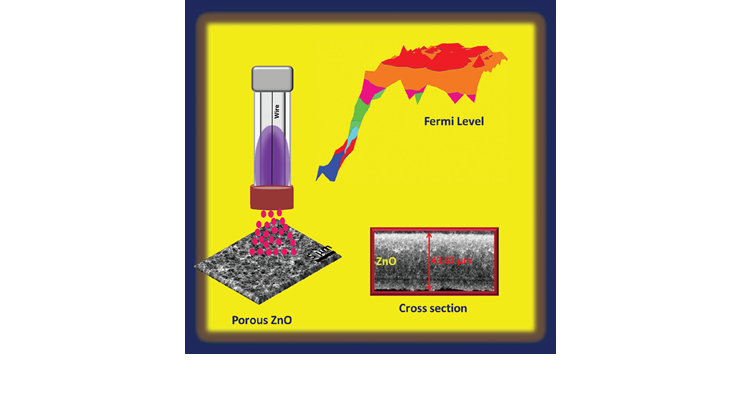 Porous ZnO nanocrystalline films very easy, fast, and scalable one-step process synthesis. Nanostructures agglomerate to form a porous film at the substrate. Energy band structure of the deposited film has been investigated to understand the corresponding band alignment, which is relevant to many applications. (Plasma Process Polym 14, 2017, 1700052). photoluminescence (PL) wavelength of Si-NCs confirms this exciting possibility (Adv Funct Mater 27, 2017, 1701898). 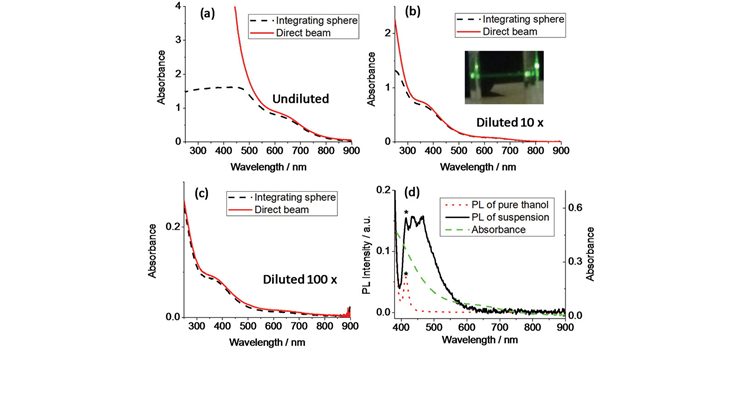 films produced with this approach yield good and stable devices and highly relevant for a very wide range of applications where the formation of high-quality ultrathin films of quantum dots with controllable thickness and smoothness is required (Energy Sci Eng 5, 2017, 184). CuO is a versatile p-type material for energy applications capable of imparting diverse functionalities by manipulating its band-energy diagram. 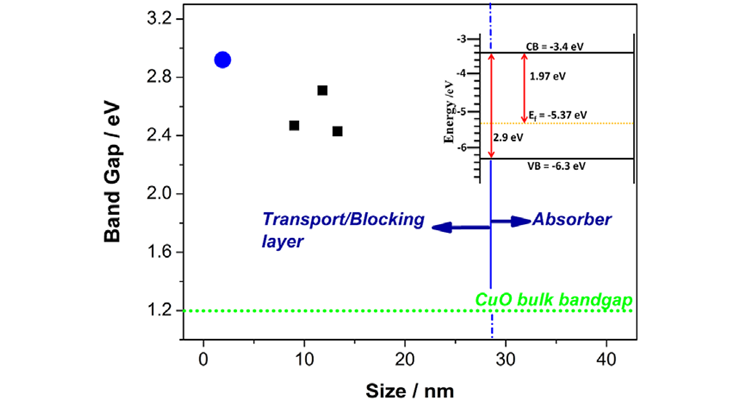 CuO nanoparticles films have been used for the first time in all-inorganic third generation solar cell devices demonstrating highly effective functionalities as blocking layer (Plasma Process Polym 14, 2017, 1600224).